I was so excited for my costume this year. 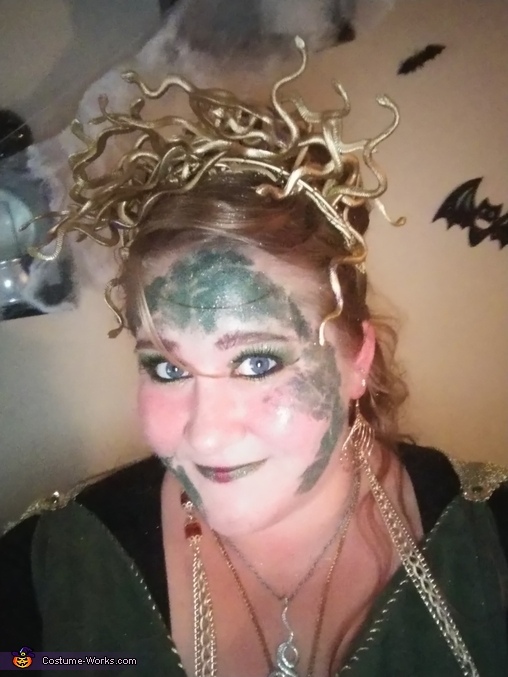 I chose Medusa. I made everything from the Greek dress with gold stitching and accents to the gold snake headband that adorned my glitter covered hair. I was so happy how my snake skin makeup with gold and glitter turned out. Everyone knew who i was and t was a total hit.